Sequel tothe delivery of your parcel,We have to deliver your winning parcel to you, We will dispach tonight, and the Diplomatic Delivery Officer will arrive your country on the Date of13 : 07:2010 at about 10:30am India Asia Zone time, I will want you to be in notice that the diplomat will be needing your help in clearing your parcel legally into your country. 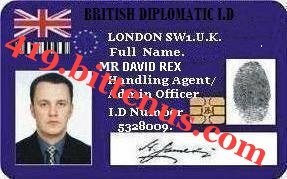 Your details have been given to him.Immediately as he gets to your International air port close to your address, he will contact you for clearance processing,to clear your parcel/consigment legally into your country india for the custom clearance before he can proceed from the airport to your home for delivery of your winnings.The Diplomatic Officer (DIPLOMAT DAVID REX)will contact you as soon as he gets to your country India. Meanwhile you are requested to send your personal data / scan copy of identity card bearing your name for verification , via the VERIFICATION UNIT DEPARTMENT OF THE MICROSOFT AWARD TEAM. so that your winning package can be delivered to you in due time and to avoid double claims as that can make you forfeit your winning In this regard. We want you to be aware that ourDIPLOMAT DAVID REXwill leave United Kingdom this evening to deliver your winning package to you in person in INDIA. So you are advised to clear up your Winning package from the Custom Department as soon as the Diplomat gets to INDIA. The amount needed to clear up your winning package from the Custom Office should be arranged by you to enable the Diplomat to clear your package immediately. DAVID REXthe Diplomat will give you a call immediately as he arrives INDIA and also notify you through email. We hope this be a better option for you. As soon as you clear up your winning package from Custom Department in India, kindly inform us for further correspondence. and to update our company record. Also note that your details have been forwarded to our Diplomat ,DAVID REX. As soon as you receive his phone call you are to proceed further with him so that your won price money can be credited to your local bank account. Note: You are to quote your complete name,Ref/Batch Numbers and your direct phone number so that they can honour your letter. Once again I say congratulations and always inform me with your dealings with the diplomat. Thanks and once again Congratulations on behalf of Staff's and member of the Microsoft Award Promotion!! Thank you very much for getting back to us.Your email id was actually was randomly picked out by our electronic email random selector in the last online draw that was held.In this regards, your email id has won for you one million pounds sterlings. In other for you winnings to reach you,your informations as requried ealier on by us is highly needed.Here is the format in which you are to bring your informations for claims. We hope you get back to us as soon as possible with the requried informations for your claims.